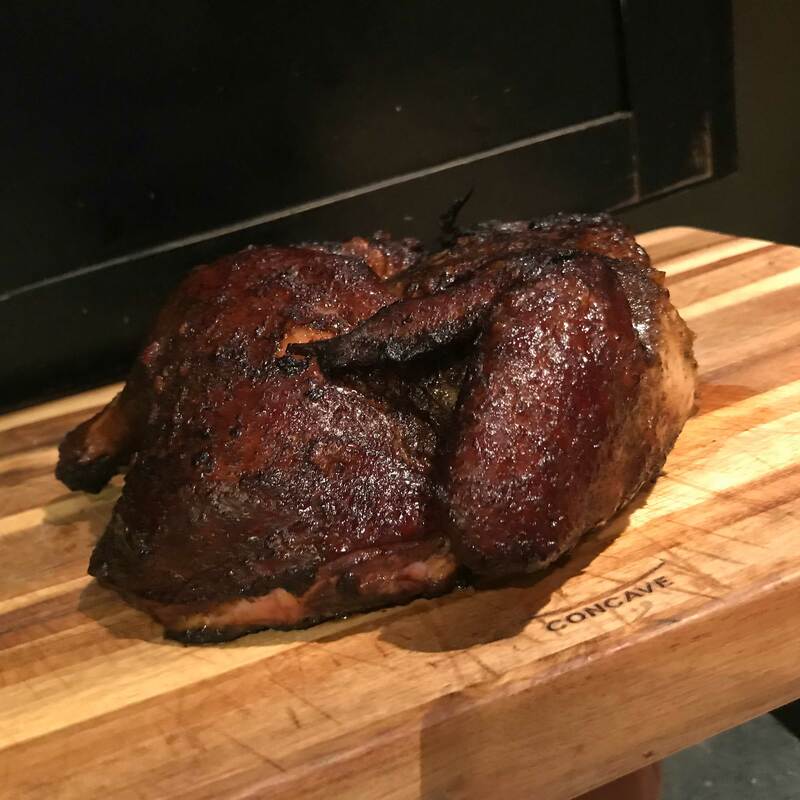 Learn how to use Early Bird and Chicken Scratch for chicken as well as pork. When I created Chicken Scratch, I knew in order for backyard cooks to achieve the Thunderbird taste, they’d need to brine also. 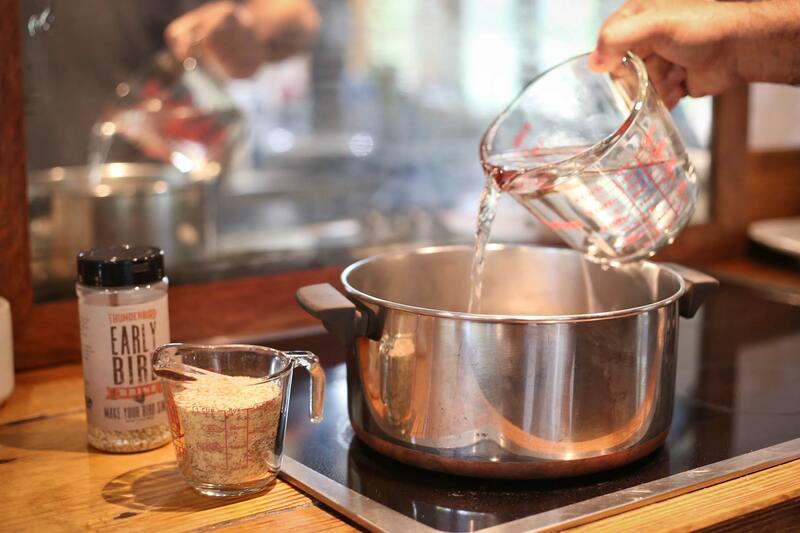 Brining insures your chicken, pork and turkey will be juicy as can be and will also have flavor throughout the meat instead of just on the surface. A sort of one-two punch! 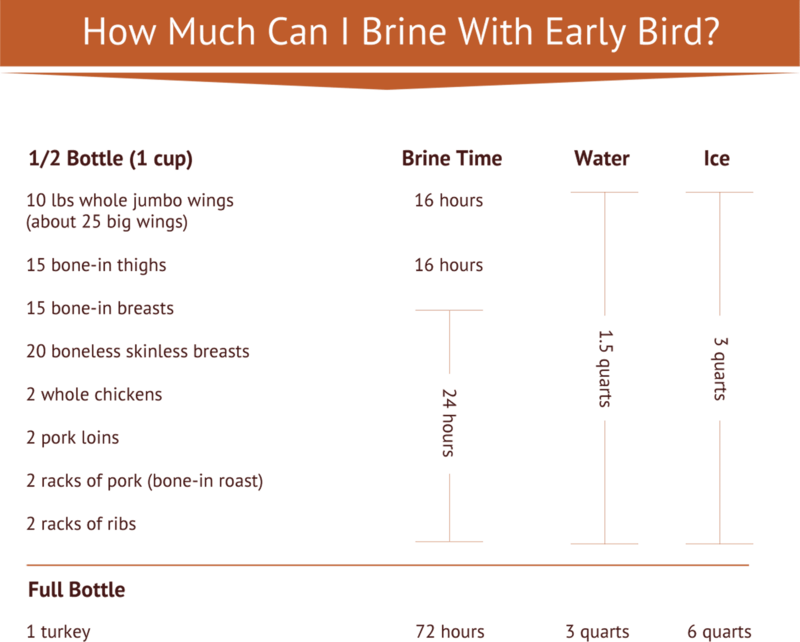 So I set to work creating Early Bird brine. 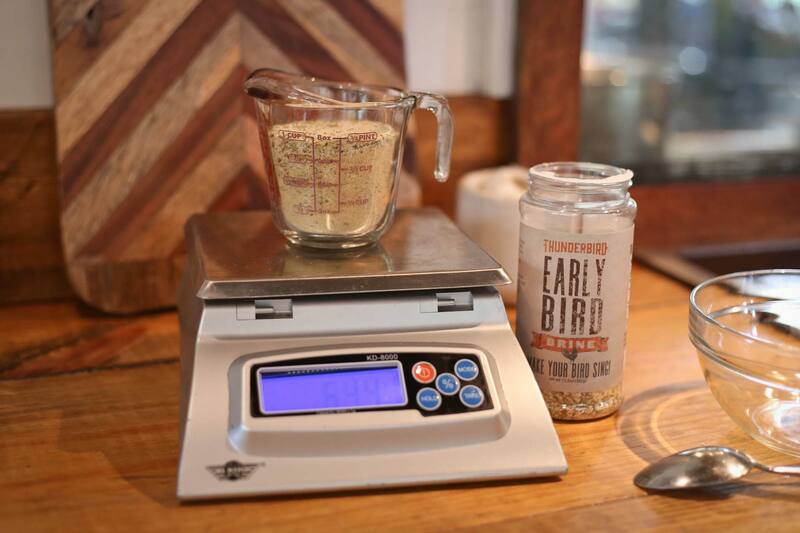 Measure 1 cup or about 200 grams of Early Bird. 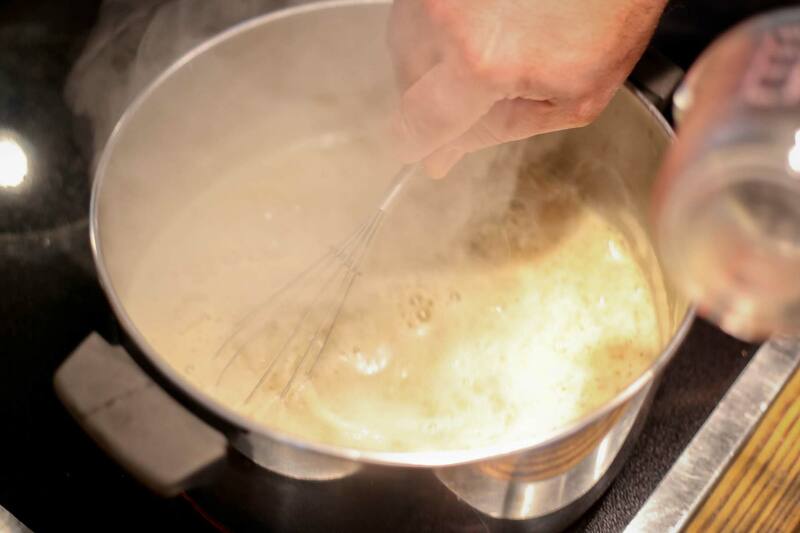 Pour 1.5 quarts of water into a pot and bring to a boil over high heat. 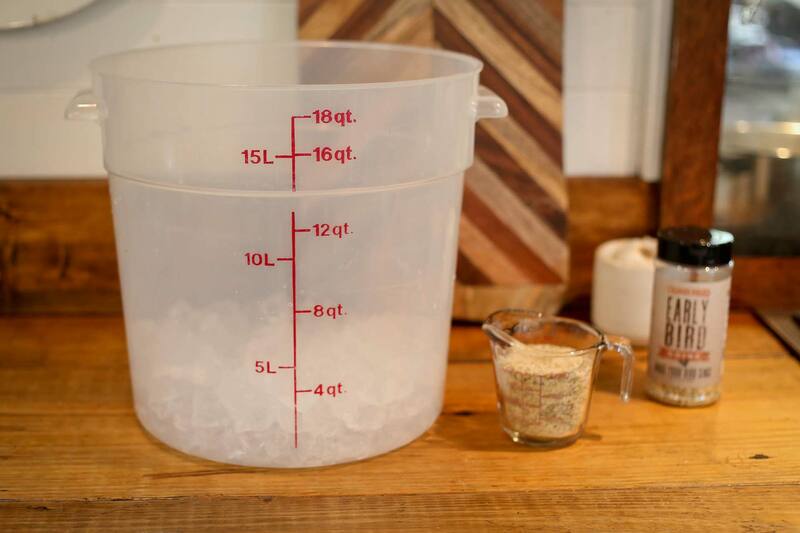 Add 3 quarts of ice to a brining container. 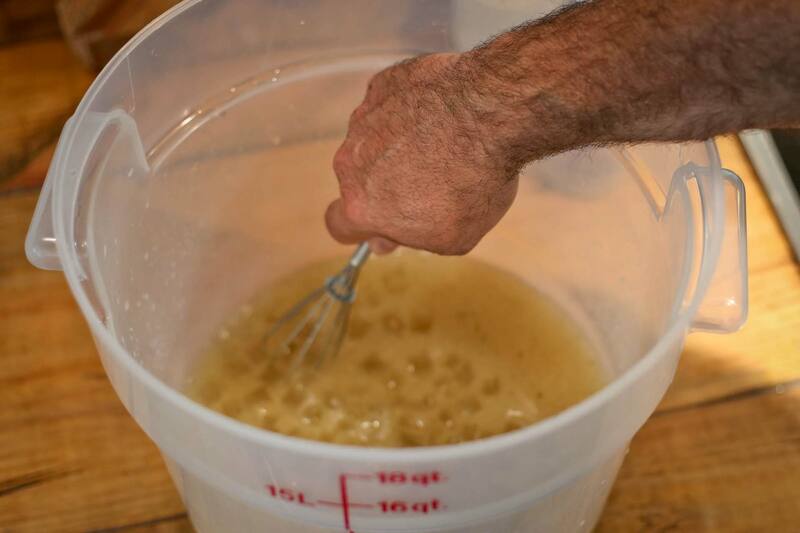 Pour Early Bird into boiling water and whisk a minute or two to mostly dissolve the mixture. Add the dissolved concentrate to the ice and stir to cool it down. 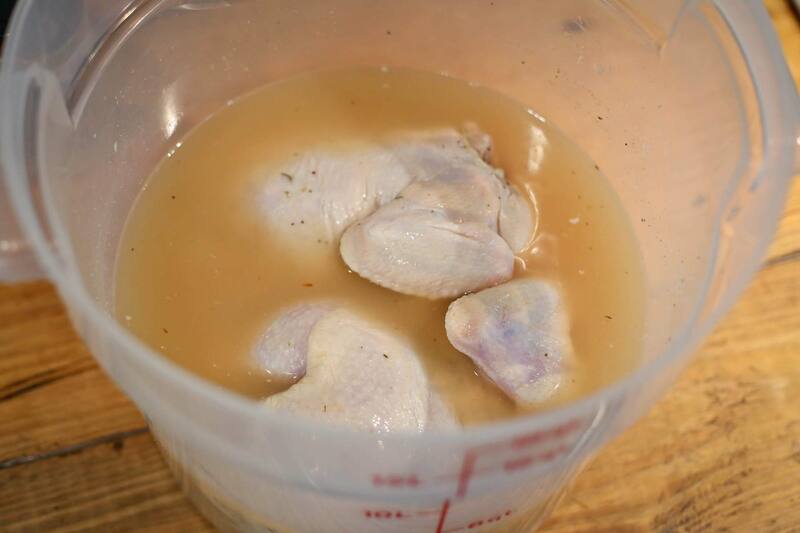 Add the chickens to the brine. Cover and store in the refrigerator for 24 hours. 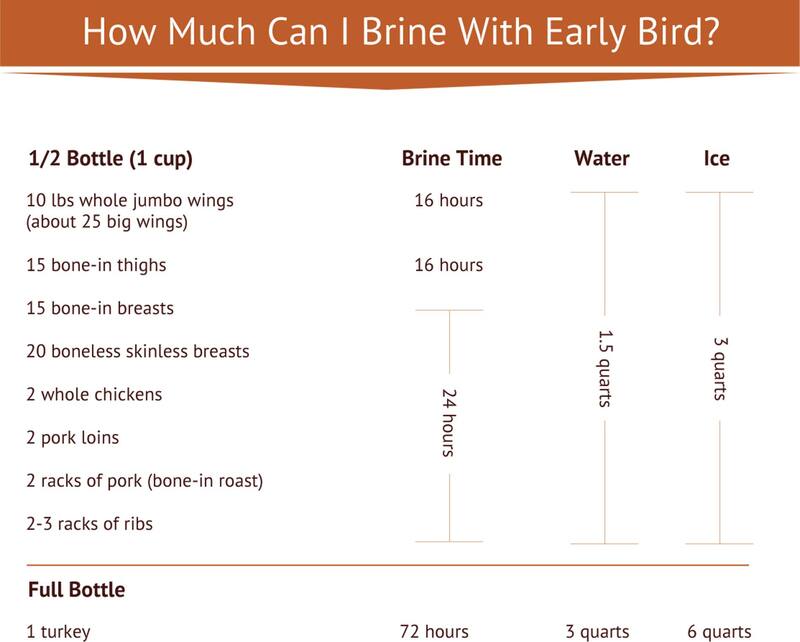 Remove a brined bird from the container. Flip it breast down and with a sharp knife or kitchen shears cut along either side of the back bone to completely remove it. This is called spatchcocking. Don’t be intimidated! You may have to get tough with it in a couple spots. 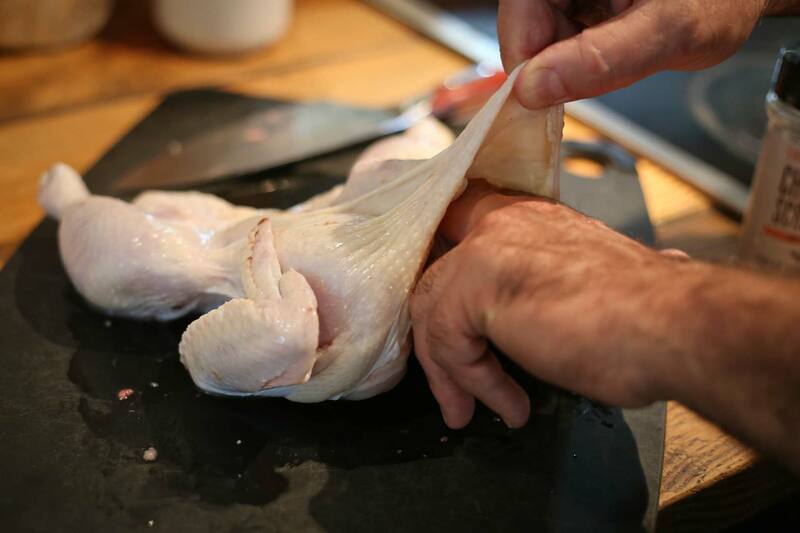 Turn your chicken over, spread it out and pressdown to break the sternum and cause the breasts to lay more flat. 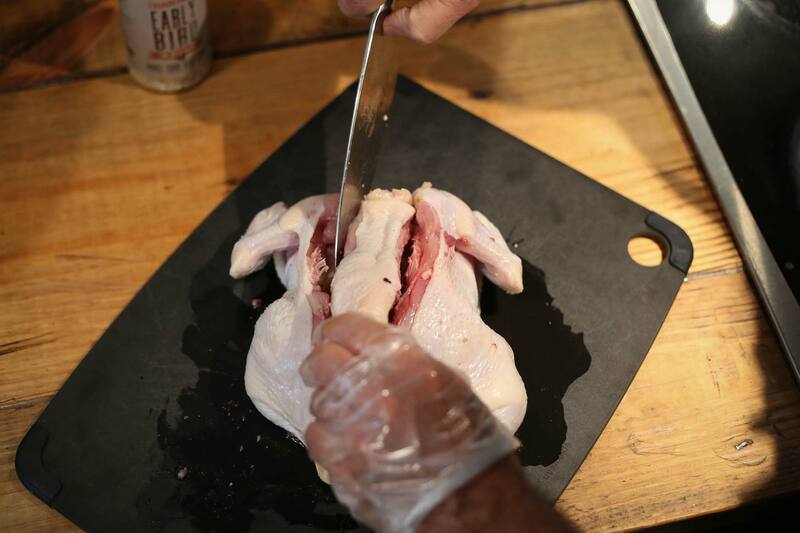 Then push your fingers between the skin and breast meat to open up a pocket on both breasts. You want to separate the skin all over the breasts. 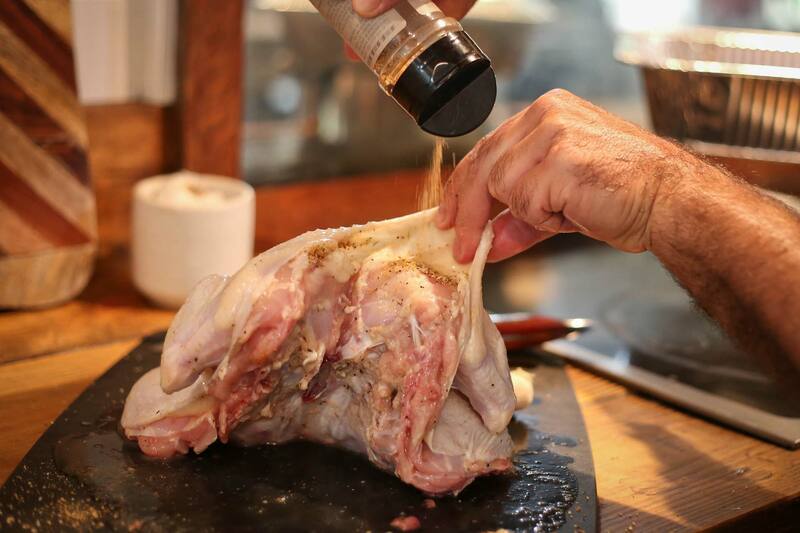 Doing this will allow seasoning to be rubbed directly on the breast meat. One breast at a time, lift the skin with one hand and shake Chicken Scratch into the pocket with the other. Shake what you think is 1-2 tsp into each one. Generously season the skin all over with Chicken Scratch. Prepare your ceramic grill or pellet grill to cook at 375°. 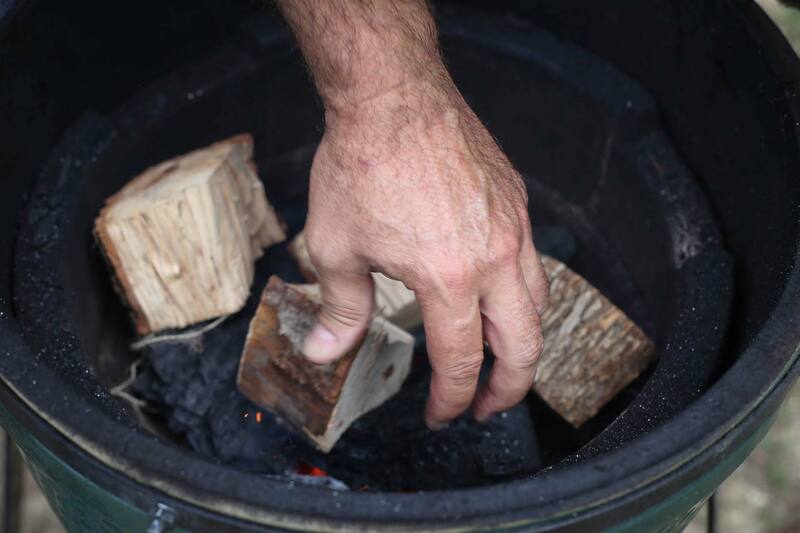 In the case of a ceramic grill, you will want to add 3-4 baseball size chunks of pecan wood or other fruit wood to your charcoal. Then add your platesetter to make it an indirect cook. 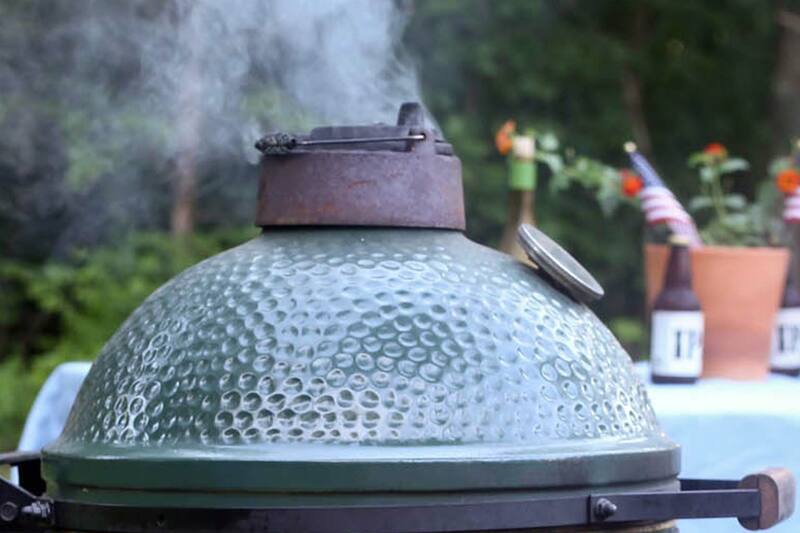 Two good size birds will perfectly fit onto a medium size Big Green Egg. Notice how the spatchcocked birds are spread out flat. 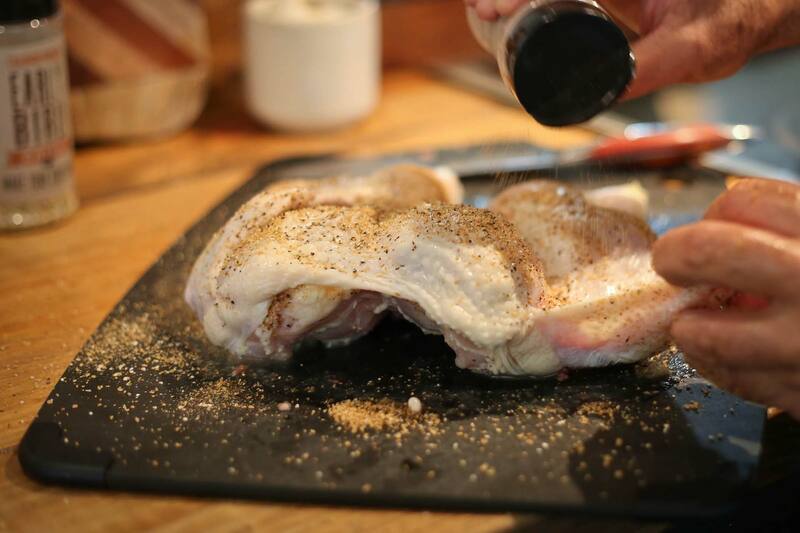 This method assures crisp skin, even cooking and the juiciest chicken ever! Start checking the internal temperature at 45 minutes. 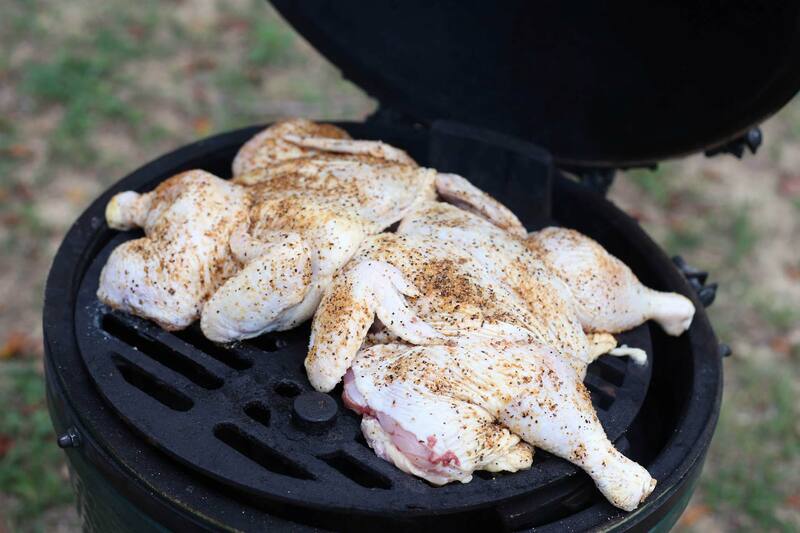 Take up your chickens when your instant read thermometer shows 165° in the thickest part of the breast.